Did you know that in America, we are using an estimated 500,000,000 plastic straws every single day? That is like 1.6 straws for every man, woman and child living in this country every single day. If you were to take an entire day’s worth of plastic straws we use in one day, it would fill up over 127 school busses. That is like over 46,400 school buses full of one-time use plastic straws that are ending up in our landfills and waterways. Sick isn’t it? The first phase started in early Aug where we reached out to organizations around the world-seeking partners for the campaign. All partners will have their logo and a direct website link listed on the Partners Page. We are also sending out emails to all the school superintendents across the country advising them of the campaign and asking that they allow their entire school district to get involved. If you have a school/district you would like to speak with about taking the pledge, just email us and we will help you work out the details. If your organization would like to be listed as a partner, just email us your logo and website link you want associated with the logo. 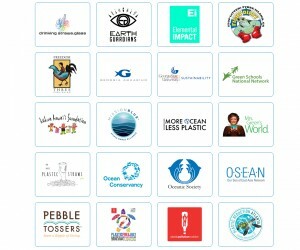 The second phase happens in Sept where we follow up with the school superintendents and also ask schools across the nation and even in select countries to have their students participate in the program by signing a pledge stating they promise not to use a single plastic straw during the month of Oct.
We are also asking the students to get at least one family member to do the same. The pledge they sign allows the person taking the pledge to commit to a dollar amount (i.e. .50-cents or $1.00) they promise to pay for every time they forget to refuse a straw. 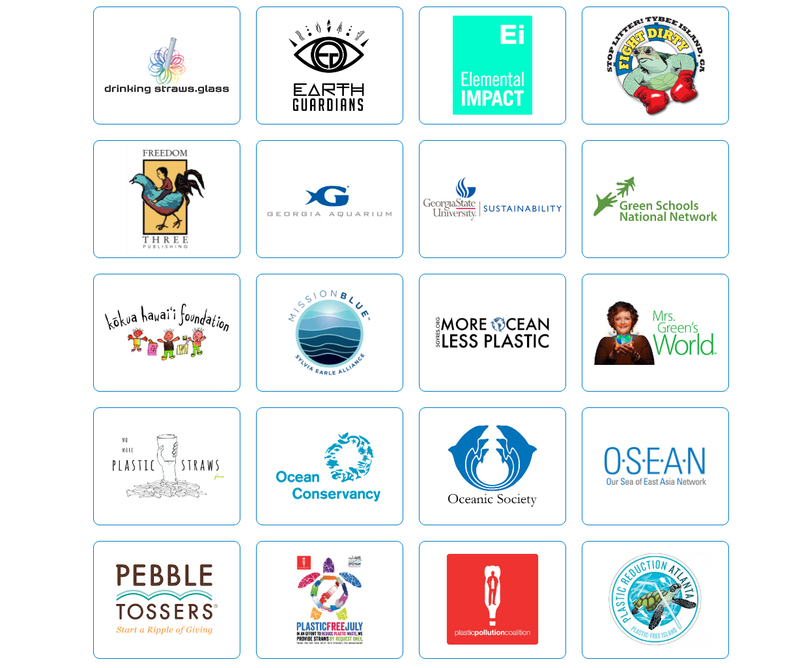 All funds collected by the students goes 100% to the students school so the school can afford to bring in more environmental education programs. We are also asking the students to seek out at least one restaurant in their community that they can approach and ask them to also sign a pledge stating that they promise not to hand out straws during the entire month of Oct unless requested by the customer. 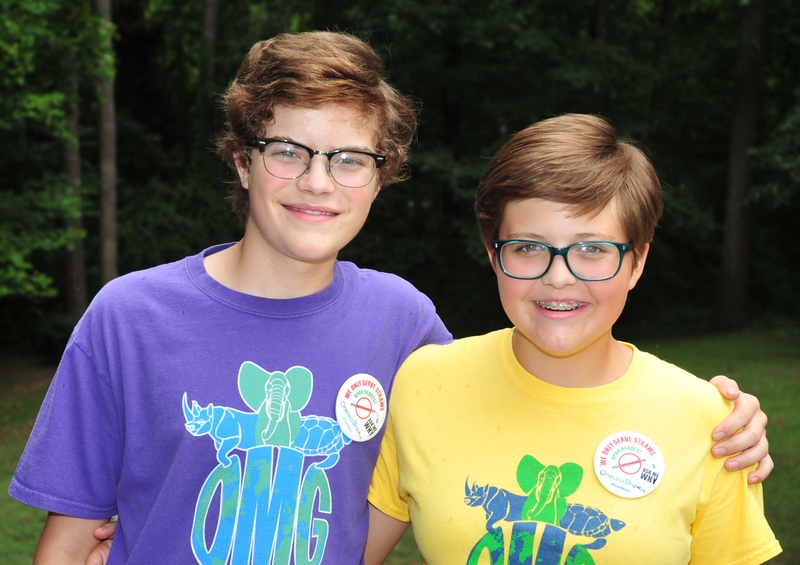 The third phase happens in Oct where we ask the students to help ensure they and their family get in the habit of saying “No” to plastic straws for the entire month. Students will also have the opportunity to upload pictures of themselves and their families refusing a straw or even taking pictures of severs wearing our campaign buttons. We will be hosting a raffle with cool prizes. Every pledge submitted is linked to the persons name so the more pledges (either ‘Individual’, ‘Business or School) the students get, the better their chances of winning a cool prizes. The OneLessStraw.org website is now live and has lots of resources and a cool interactive map which will track the progress of the campaign around the country and even around the world. 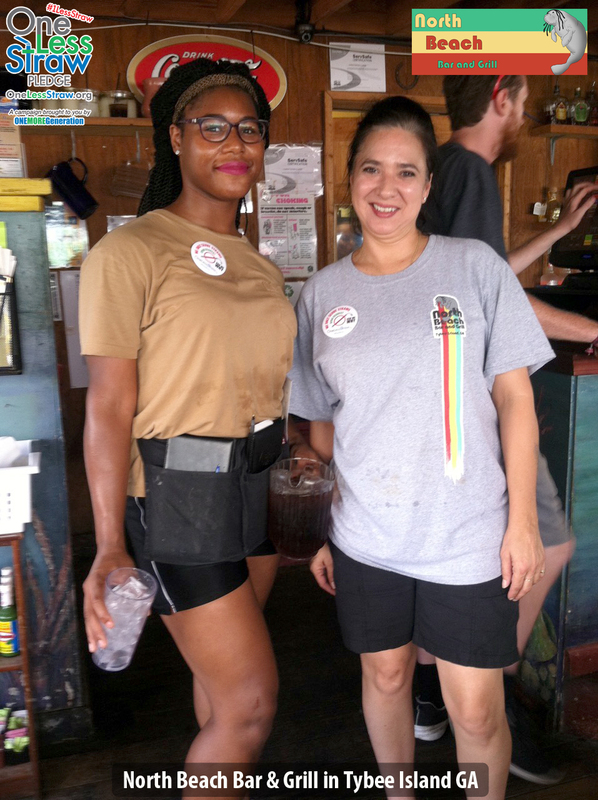 The very first restaurant to join the campaign was North Beach Bar and Grill in Tybee Island GA and they are already reporting that their staff loves the idea and even the customers are gladly participating. Check out the testimonial they sent us. As you can see, the campaign is designed to be fun and produce long-lasting results. We encourage everyone to download the pledge forms from our website or complete the online version. Thank you in advance for helping us make sure this campaign is a huge success by sharing with everyone you know and please be sure to email us your signed pledge form today. When sharing, please always include our campaign hashtag #1LessStraw.